Fume Ultra Greatsword is a Weapon in Dark Souls 3. This twisted sword, the heaviest of all ultra greatswords, resembles black slate. This weapon, said to belong to a traitor from long ago, was so heavy that it found no owner, and became a forgotten relic of history. Use one's weight to lunge forward with a low stance and increased poise, and follow with a crushing strong attack. Can be Buffed but can't be Infused. The heaviest UGS in the game. Patch 1.03 nerfed base damage. At +5 the base damage was reduced from 330 to 260. At +5 with 66 STR, it has 647 AR while being two-handed. Blocks attacks during Stomp. Each blocked attack will drain stamina as if blocking normally, but wont ever be guard broken. Can serve as a pseudo-shield when blocking, with passable damage reduction and stability; although the lack of 100% physical absorbtion does limit it's uses. A good idea to offset the chip damage from blocking would be to stack some HP regeneration. It's two-handed R2/RT deals Strike damage instead of Thrust. Probably due to the fact that the sword has no point. Has a higher poise health value than other Ultra Greatswords. While all the other Ultra Greatswords have a poise health value of 27.3, the FUGS has 30.8 poise health. This means you can have 39.3 poise to tank through other Ultra Greatswords instead of 45.9. The higher poise health also applies to the Ringed Knight Paired Greatswords. In comparison to the Heavy-infused Greatsword: the Fume Ultra Greatsword has larger range, Great Hammer poise health, Higher resulting damage (despite its ~30 lower AR, it deals Strike damage and most armors have lower strike absorption), the Weapon Art stomp R2 has more range, has enough stability and absorption to be a working shield against non-large weapons while two handed, and has a superior moveset with its rolling r1 poke and r2 poke. On the downside the Fume Ultra Greatsword weighs more (about 15 points in vitality), costs more stamina to attack with, and has lower AR so may end up doing less damage against some armor setups. Dropped by Knight Slayer Tsorig underneath the Smoldering Lake. He can be found beyond the areas with the rats and the basilisks, but before the exit that goes up to the ballista. Go to the left of the stairs to the exit and you will find him in front of a pool of lava. A good strategy to take him out is to use a heavy hammer to knock him down so he can't attack you. 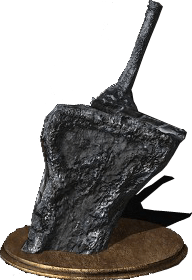 Main weapon of Raime, the Fume Knight from Dark Souls II. "It&apos;s two-handed R2/RT deals Strike damage instead of Thrust. Probably due to the fact that the sword has no point." Wait a minute... shouldn t it deal standard or slash damage? The blade &apos;s end closely resembles a greataxe. Makes Havel look like a pebble. "FUGS" got a bad rep. Mainly just because it&apos;s decent but the U.G.S/Stomp Meta basically means you had 100k guys copying Youtubers. Trading poise hits. It&apos;s not tactical and I can understand that it&apos;s frustrating to alot of players. So basically it&apos;s F.S and exploiters fault, hence the damage reduction. Now that the backstory is out of the way; It&apos;s still a decent weapon that I personally prefer for a Shieldless Heavy build. You don&apos;t really have the End, Str, Vit and Vigor to properly use it with Heavy Armor until level 100 or so but it&apos;s alot of fun. (Gotta keep under 70% E.L) It&apos;s tougher/tactical since you have to time your Stomp, rolls, block and attacks precisely. You don&apos;t get to block 100% while you take your time. Anyways, try it in PVE or PVP. Just don&apos;t be a dbag and be sure to ignore hate mail. Thanks for reading! Fits the Ringed Knight set pretty well. Wish this thing had 500 attack, when upgraded to plus five. why does this not upgrading using titanite scales...? Is putting 55 instead of 65 as the dark defense value on the last row someones idea of a good troll? Ah, the FUGS nerf. One of the many mind boggling idiotic decision made by DumbSoftware. Oh no! A big heavy slow weapon does a lot of damage! Lets nerf it! Actually no. Lets add Ledos Great Hammer instead! Wait no, lets buff elemental infusions to make infused weapons do as much damage as a 25.5 unit weapon but weighing much less! Miyazaki:You know that totally balanced and insanely slow and heavy sword, the FUGS? "Yeah" Miyazaki: how about it does***** damage on top of that. "Wait wut"
Still one of my fave UGS for PvP. The movepool is fantastic, it has reach long enough to compete with (or flat out outclass) most spears, strike damage on every hit, and that hyperarmor... that hyperarmor has won me countless trades. Here&apos;s a tip for roll-catching: switch to one-handed. The reach on that horizontal sweep is insane. This, 40+ Poise, and a Parry Shield can pretty much hard-counter the entire meta.